Despite its youth, Somatosphere is a rich source for researchers and more casual visitors. For those who have grown up in the web age, tools such as Somatosphere might be taken for granted. But for those of us weaned on type- writers, the U.S. Postal Service, and “let your fingers do the walking,” Somatosphere offers a greatly accelerated mode for scanning a heterogeneous field. The fingers walk faster and farther. In addition, the links that this website provides allow rapid communication—disseminating what is new and receiving comments from engaged readers. A researcher or a more casual explorer can post messages on the site asking for further information, response, and collaboration. Somatosphere could be made even more useful for readers with the addition of links to bibliographies and syllabi and greater coverage of applications of medical anthropology in clinical, public, and global health settings. Links to the “grey” literature (e.g., project reports and government documents that may not be published in peer-reviewed journals) would also be useful and may be of interest to medical anthropology aficionados; much of this literature is otherwise unknown or hard to find. These are excellent ideas and ones which we would be very happy to see developed. If any readers are interested in getting involved in contributing to Somatosphere in any way (that includes you, grad students), please get in touch with us at admin@somatosphere.net. Read: Robert A. Hahn, “U Gotta C: www.somatosphere.net,” American Anthropologist, 112(2): 310, June 2010. Raikhel E. Somatosphere reviewed in American Anthropologist. Somatosphere. 2010. Available at: http://somatosphere.net/2010/somatosphere-reviewed-in-american.html/. Accessed April 25, 2019. Raikhel, Eugene. 2010. Somatosphere reviewed in American Anthropologist. Somatosphere. http://somatosphere.net/2010/somatosphere-reviewed-in-american.html/ (accessed April 25, 2019). I'm so glad you liked it! 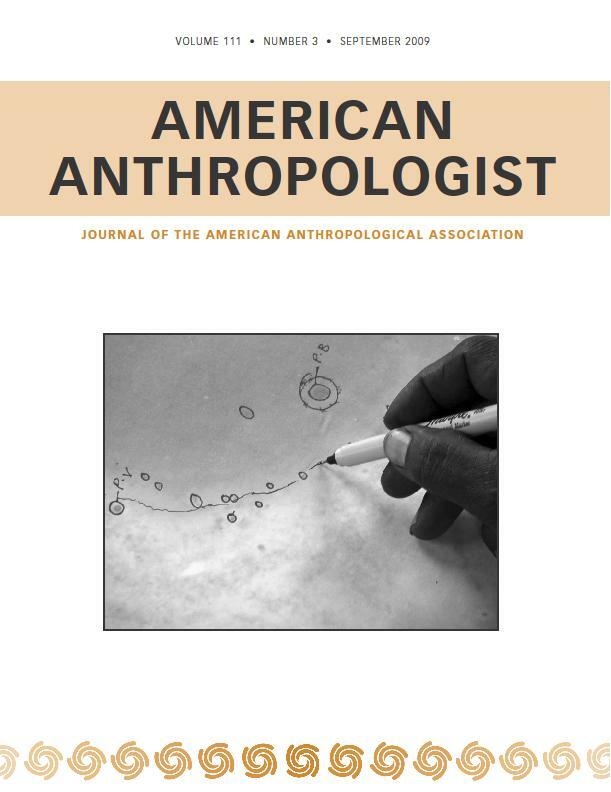 I'm so happy I've been able to add public anthropology reviews to American Anthropologist, and the Public Anthropology Review Editors are doing a great job. I should have said this in the initial post, but thanks so much to you Tom for this new initiative and to Melissa Checker, Alaka Wali and David Vine (the Public Anthropology Review Editors) for deciding to run a review on this site in the first place!